Order in next 14 hours and 19 minutes for despatch today. 117cm Length of Rolled Dark Tan Leather Strapping. 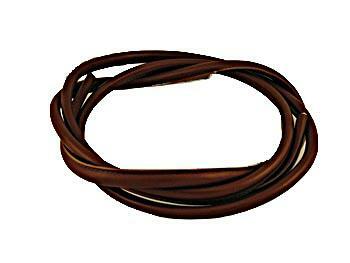 This rolled leather strapping is widely used on handbags. This version is dark tan. This item is sold in cut lengths of approximately 117 centimetres. It is therefore necessary to enter the number of lengths you require, when asked for the quantity. The quantity window is on the page which appears, once you have clicked the 'add to cart' button.